I find freedom and inspiration in movement, whether I am watching or actually moving. I have been given an opportunity to integrate my diverse training into my pilates and dance classes. This union has lead to a unique warm up and work out that encourages my clients to discover full body awareness by finding their centre, allowing for deeper discovery through the mind, the body as well as their breath. By incorporating mat-based moves to dance class and dance-based moves to pilates, I bring grace to the mat and stability to the dance. With a BFA in Dance Performance from East Carolina University, Karen has been dancing for the past 30 years, teaching for the past 17 years and performing for various artists such as Mia Michaels, Jay Norman, Marjon Van Grunsven, Tomi Galaska, Mary Carbonaro and Peter Grey Terhune. She has performed on the Regal Princess and Crown Princess Cruise ships, Madora, and other local artists. She is a STOTT Certified Pilates instructor. She is a Simonson Certified Dance instructor as well as CI Training Certified instructor. After discovering her love for movement and fitness, Karen discovered Pilates. With a focus on enhancing core strength and bringing increased reach, flexibility, sure-footedness and agility, it made perfect sense for her to pair her love for dance with her next love, Pilates. She has been teaching Pilates for 11 years, and continues to challenge her students with her various teaching techniques. Combining Simonson Dance Technique with Pilates and CI training, Karen has created a unique class format that not only allows the body to flow from movement to movement, it allows the mind to connect to the present moment, leaving her clients feeling rejuvenated, renewed, and restored. Connecting to their inner “wonder” allows the client to feel more balanced and grounded. 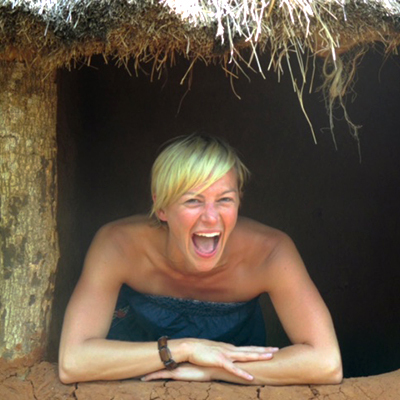 After returning from Kenya and Uganda in November 2013, Karen realized the importance of tuning into one’s life purpose. After teaching women with HIV Pilates/Dance/Strength Training and listening to their life stories she now realizes her life purpose to inspire others, especially women to find their own voice just as she found after the past few years of focusing on finding me mine. Karen inspires and share her experiences with others in the hopes that it will help them believe that anything is possible, and everything is possible!